The Duart Mull team is led by entrepreneurs who have proven themselves in multiple successful start-ups, investments, acquisitions, and exits. Our team combines that entrepreneurial spirit with a proven track record in business, financial, legal, and strategic management. We’ve been there. We understand that business involves risks, and great business people have to constantly push limits, challenge conventions and dream big. Sometimes, they even make mistakes. But the best of the breed turn each lesson learned into a new opportunity for transformation. We have little patience for the kinds of “standard operating procedures” or management styles that impede growth. Instead, we believe that adaptability, best practices, and hard-earned experience, paired with our capital, are the best springboards for real transformation. We make the connections and tap the capital resources needed to fuel change, helping organizations evolve and define a lasting legacy of success. 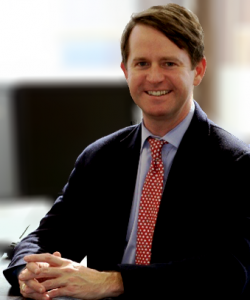 Justin R. McLain is responsible for directing the investment activities of the funds held in Duart Mull’s trust. In addition to evaluating new investment opportunities and overseeing the activities of outside fund managers, he is also charged with strategic involvement in Duart Mull’s portfolio companies and fostering investor and community relationships. Mr. McLain is himself an entrepreneur who hails from a long line of business creators and innovators, starting his first business at the young age of 20. After successfully starting and selling two businesses which he founded, he has been involved with numerous U.S. and international businesses, lending his expertise to foster growth and financial success. Mr. McLain earned a Bachelor’s degree in Business Administration, with a minor in Economics, as well as a Bachelor’s degree in Biology, from the College of Charleston. 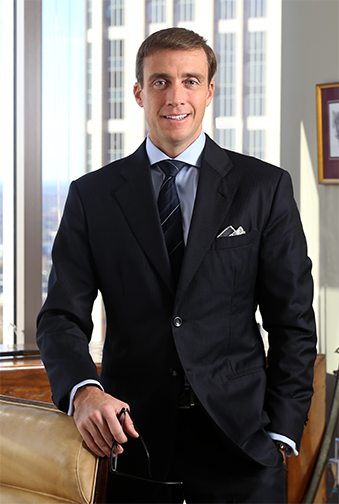 He serves on the boards of several founder-owned companies, private equity owned companies, and non-profits throughout the U.S.
Download Justin McLain’s full bio here. Zachary M. Eastman’s focus is on advising businesses in the capacity of corporate counsel. Those businesses include start-up, growth, and mature companies in a range of industries that include technology, retail, manufacturing, service, and investment firms. Mr. Eastman provides counsel on a range of business transactions, from corporate structure to the purchase and sale of companies, to the preparation and negotiation of a broad range of contracts and agreements. Mr. Eastman received his law degree from The University of Georgia School of Law and earned his undergraduate degree in English from Davidson College. He is proficient in Spanish and serves on the Board of Directors for both profit and not-for-profit organizations.